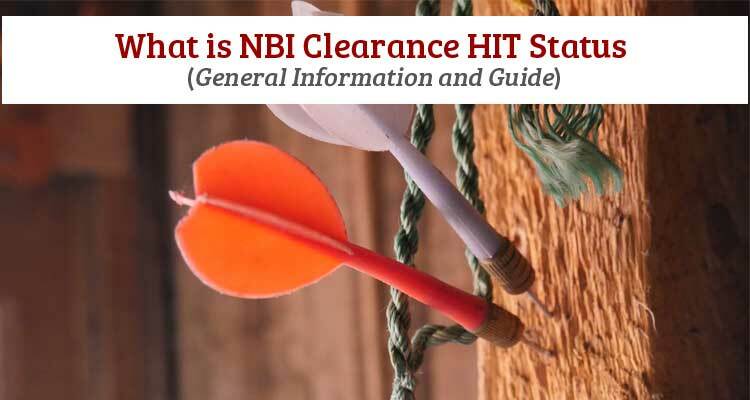 What is NBI Clearance HIT Status? That was the general explanation about the NBI HIT Status. Should you have any questions, you may share it on the comment section. Please help me po natatakot po ako bumalik sa nbi dahil bka po ung pag theft ko sa mall last 4 years ang dahilan na nahit nbi clearance ko. Please need advice. Salamat po. May case ako last Dec. 2016 but the decision has been made kasi na served ko ang sentenced 15 days. Hit ako sa NBI. Pagkukuha ako nang NBI clearance may derogatory record paba ako? Please answer me guys. Thanks. The NBI found out the I had a “namesake” with an existing pending case and the decision had not been made, I was be instructed to go to the court of origin and acquire a Disposition Clearance or Court Decision. That was done and the subsequent clearance was issued in five weeks. (I am not a citizen and a fingerprint card was required.) That was in March 2017. When I applied in February 2018, the same hit was still there and I again had to wait for the five weeks before showing them the same document from the previous year. Now it is January 2019. You guessed it, the same hit is still there and I just completed submission of another fingerprint card. So what?, you say. The namesake is documented as having been born in 1899 and the charge was made in 1970. He is now 120 years old. How can I get the Department of Justice, National Bureau of Investigation to clear this file? Obviously it is not every going to be resolved. Salamat po.